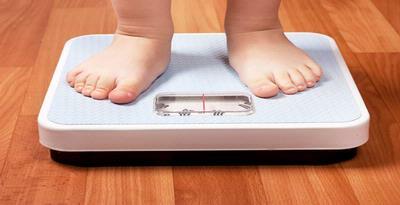 Children whose height is below average or short (stunted), which could beoverweight or obese. In addition to its intelligence potential may also be interrupted.According to the Association of Health Research (Riskesdas) 2010 conducted by the Ministry of Health, there were approximately 38 percent of children under fiveyears in Indonesia classified as stunted. “It’s actually an old problem, but until now the government is more focused on the conditions of malnutrition and malnutrition,” said Anie Dr.Yustina Indriastuti, Sp.GK, in the case of the winners of the “Little Doctor Nutrition Advanced ”held NestléIndonesia (30 / 1 / 2012). He explained that short children are more vulnerable when they have excess weight by eating a large and growing, height can not grow, so the weight is just a walk. “The situation of growth retardation in children can be seen by measuring height andweight of children on a regular basis then view the chart in the KMS. Therefore,efforts were made to improve nutrition,” the doctor said Anie familiarly called. He further explained growth retardation before the child’s nutritional status improves, the more you can optimize your health, including his height. ”At school age, iebetween 10-12 years to accelerate the growth of children. In this period, when thenutrition of children could be very high,” he said. Genetic factors play an important role in the child’s height, but said Anie nutritional and environmental factors also contribute. ”If the child diligently optimal nutrition andexercise can be a maximum height that exceeds even their parents,” he said.